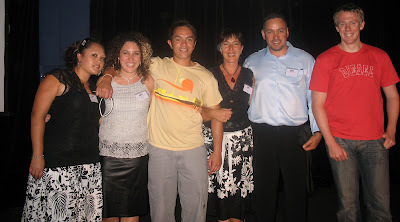 New Zealand USANA 2 STAR Diamond Directors Chris Folland and Fiona Jamieson-Folland took up an amazing challenge in 2010 to sponsor 16 Associates in 16 weeks! 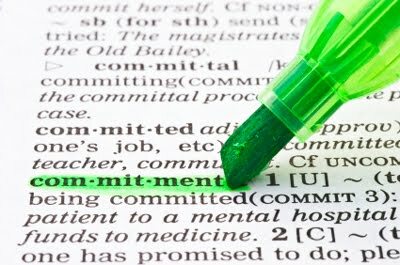 And if you are wondering how they achieved their goal, we would probably say increasing your commitment level will be a good start. But how? By giving yourself a serious consequence! We often hear people say “I am going to set up a goal for myself to achieve this, this and this…” If the goal is merely a wish rather than an absolute must, then my gut feeling is – it is hard to accomplish, especially when the goal requires effort. HOWEVER, when you hear people say “I am going to achieve this, or I will be punished by…”, then most likely, they will get what they want. Because having a consequence just shows how serious they are to achieve their goals, especially when the punishment is more painful than staying on course. Carolyn Edwards, one of our New Zealand USANA Ruby Directors, has set up a goal for herself for 10 active and motivated people to join her USANA team by 28 March 2011. The reward is a DAY at the Spa with her daughters, but the punishment is to go Sky Diving before 1 April. Carolyn has a major fear of heights. Sky Diving is not a fun, but just a disaster. “The thought of jumping out of an aeroplane scares me so much it literally makes me feel ill. The fear of the jump hurts far more than anything I will need to do to find and sponsor those people!” She says. To secure the 10 active people, she plans to prospect a minimum of 5 people per day. We wish her good luck! Carolyn did it by making the consequence disastrous; In our upcoming blog, Nikki Stockton, Customer Service Manager of USANA Australia and New Zealand, made her consequence embarrassing; Also, you may try to make yours public. This will propel you into constant action because the embarrassment of not achieving your goal would be too much for you to handle! Let us know if you have a goal in mind and want to be held accountable, we’ll put it out there for everyone to read.